*Editor’s Note* – The following are comments/questions compiled by Jim Beers, retired U.S. Fish and Wildlife biologist, in response to an article found in the Star Tribune. Mr. Beers took certain excerpts from the article (numbered below) and responds to them. (I. )Excluding the late season, hunters killed about 144,000 deer during the main season, down 6 percent from 153,000 in 2012. Overall, Minnesota’s firearms, muzzleloader and archery hunters have registered 164,500 deer as of last Wednesday. Before the season, the DNR had expected hunter success would be similar to 2012, when they killed about 185,000 deer. Question – How many deer did Minnesota hunters kill in 2012? Was it 153,000 or 185,000? If it is 185,000 and if the most recent count of deer taken is 164,500, the kill is down 12% and not 6%. Since the “general public” doesn’t catch this stuff, the radicals are happy hunting is “on the way out” and the hunters shrug that maybe it really was only bad weather responsible for the decrease. Like moose hunters, deer hunters are headed to the museum thinking it is a field trip and not their final resting place. (II. )Steve Merchant, the DNR’s wildlife population and regulations manager, said a lower deer population is likely the main reason hunters haven’t fared so well, though the weather was a factor, too. The season opener was windy, while it was rainy and windy the next weekend. Bad weather can limit deer movement, as well as discourage hunters from spending as much time in their stands. And the deer population was already down because of the harsh winter of 2012-13, which led the agency to reduce the number of does hunters could kill in northern Minnesota. Question – The DNR “expert” tells us only “a lower deer population is likely the main reason hunters haven’t fared so well”. Not a peep about predation. How does he “know” it wasn’t increasing predation since the DNR “had expected hunter success would be similar to 2012, when they killed about 185,000 deer”? If it was only the tired and worn excuses (minus global warming and ticks) spewed out by the DNR as moose disappeared, ask yourself why the DNR expected “hunter success similar to 2012” even after reducing “the number of does hunters could kill in northern Minnesota.”? This smoke and mirrors gives White House “transparency” a run for its money. (III,)Mark Johnson, executive director of the Minnesota Deer Hunters Association, concurred that the lower deer population is the main factor in the lower harvest. He said success also had a lot to do with the particular area of the state. There have been fewer signs of deer in areas where harvest limits had been set high to bring local populations down, he said. And he said he believes the wolf population is also a factor in northeastern Minnesota. NOTE: This is an example of a hunter organization (there are many, many more such examples every year) running interference for DNR buddies. Notice that the DNR never mentions wolf predation but this “executive director” does so hunters relax, they have been heard. The DNR stays solid with the radicals and the “director” is buddies with both his deer hunters and his DNR pals. But what does it mean to say he believes “the wolf population is also a factor in northeastern Minnesota.”? What must be done? Who will do it? What does this mean for deer? (IV. )Johnson said he’s hearing from hunters that they want the state to produce more deer. He said the DNR is likely to respond to that by reducing the antlerless harvest. 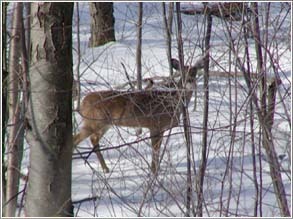 NOTE: Wow, his hunters want “more deer” and “the DNR is likely to respond to that by reducing the antlerless harvest”. Why didn’t they try that with moose? I think I will write a thank you letter to Governor Dayton for such responsive government. Future deer success can be expected to mirror recent moose success if wolves are not figured into the equation and dealt with forthrightly – if we are to really have “more deer”. (V.)This is Minnesota’s second wolf season since the animals came off the endangered list. The DNR lowered the overall target to 220 wolves this time for the two-part season. Hunters killed 88 in the early season. Last year’s overall target was 400, and the final count of wolves killed was 413. For a long list of political reasons, MN, WI, MI, MT, ID, OR, WA et al undercount wolves. This has been true ever since they got into the sack with federal bureaucrats as allies in the wolf wars. Truth be told, Minnesota has at least 3,000 or more wolves. Last year, Minnesota killed 413 or 13% of their wolves. This year they will kill only 220 or 7 % of their wolves. You can kill 20- 25% of your furbearers, small game or big game every year (as many states do) and you merely stimulate the population by guaranteeing more survive the winter and more reproduction takes place because of less competition and more available food. If you wanted to have “more” deer or moose and you admitted the obvious impact of wolves on deer and moose; you would kill 50-75% of your wolves for 4-6 years and then maintain a harvest of 35-45% of your wolves annually ever after – or you would exterminate the wolves as was done throughout history in Europe and North America. That is the real reason deer hunting success is down but nobody is going to look into it, much less try to do anything about it. Why don’t we try a government hunter-recruitment program in addition to “reducing the antlerless harvest”? Maybe the reason there isn’t any moose hunting anymore is that the government didn’t recruit moose hunters. I think I’ll put that suggestion in my thank-you letter to the Governor. It is as sensible as the rest of this stuff. An article at Pioneer Press, TwinCities.com, has blubbering about what is to be done about wolves, if anything, on Isle Royale. Here’s the link. I’ll make a brief comment and then lastly will be followed by Jim Beer’s perspective on what the article actually is saying. A debate is raging in the scientific community, the public and among Park Service officials on whether humans should intervene to rescue an isolated wolf population that some experts say appears doomed due to genetic inbreeding that’s causing physical deformities that are affecting wolves’ life expectancy. Others say climate change might have a major impact on the island’s wolves, and the Park Service has formed panels of experts to look at genetics and a warming climate to evaluate their effects on wolf numbers. Park Service officials have said they have three basic options: doing nothing; waiting for the wolves to die off and then reintroduce new wolves; or introducing new wolves soon while some wolves still are present. I think other options are not listed and I think the options should be based on what the brain trust decides to finger as the reason wolves have disappeared on Isle Royal and not on the mainland and moose have increased on Isle Royale but decreased on the mainland. For example, climate change. If the special interest “scientists” on the panel that will decide the cause, opt for climate change, not only will they have some explaining to do for their decision but there is little reason to do anything about wolves until they have solved, as gods, the climate change issue. Let me explain further. Using the same logic and faux science as those thinking climate change is the major factor in a dwindling moose population, and now wolves, why rush into wasting taxpayer money to introduce more wolves if an unresolved, man-caused, climate change issue has not been resolved? I am of the opinion that the reason that we have not seen more wolves “crossing on the ice” (like they did in 1949 – wink, wink) to repopulate the island is because too many people are watching too closely. My opinion: Don’t waste my dime on fake science that contributes nothing to the realities of wildlife management outside of a rare closed, incomplete ecosystem. The “public” and the “Park Service” are what they are but consider that “the scientific community” is supposedly pure and composed of incontrovertible facts and experts that justify every manner of government intervention. If a “debate” “rages” there: on what basis does it revolve? The answer here as elsewhere in government plant and animal machinations is that “science” and “scientists” are ideologues and advocates every bit as much as the urban animal “rescue” lady or the lawyer working for The Defenders of Wildlife. They are as worthy of the deference shown them in court or their argument-settling role as some Conscientious Objector wearing his Dad’s Service uniform and medals is worthy of consideration in setting Defense Policy in the Pentagon. 2. “Others say climate change might have a major impact on the island’s wolves”. Minnesota DNR bureaucrats and “scientists” have told docile Minnesotans that “climate change” was the leading factor on the steady demise of the moose population in the State. Twice each year in prominent newspaper articles the State bureaucrats and scientists asked for more money to investigate how “climate change” explained why moose were disappearing. Every such article characterizes those who say, “If moose are disappearing as wolves have been and continue to increase, what about predation of wolves on moose?” as red-necked, jack pine savages that probably flunked out of grade school and lead an alcoholic existence in some trailer back in the North Woods somewhere. So how can “climate change” decrease wolves on Isle Royal while wolves increase on the mainland? How can “climate change” be responsible for the decline of moose throughout Minnesota while their numbers are exploding on Isle Royal? Is there a scientist in the house? This is a “two-fer”. First, I wish to humbly thank the Park Service for their kind offer to “allow public discussion”. For such august bureaucrats to deign to “allow” the rest of us to publicly discuss such matters is so benevolent that I for one can merely express my eternal gratitude. Think about that folks, think about how low the American citizen vis-a-vis his government has sunk. Second, I thought NOTHING could be “managed” in a “federal wilderness area”? Does this mean that downed timber or fire-hazard brush can be removed or burned safely? Can firewood be cut with a chain saw or water scooped from a stream to fight a fire or uses like logging, grazing, vehicle travel, be considered on the (formerly?) precious “Wilderness Areas” at the sufferance of federal bureaucrats? Inquiring minds would like to know. 4. “Isle Royale has a long-standing history of broad ecosystem management,”. This is gobbledygook. They aren’t even supposed to “manage” wilderness. Ecosystem is a maligned term that has been perversely mangled over the past 45+ years into a meaningless word alone and a word that can mean everything in the ear of the listener or the eyes of the reader. That these insular bureaucrats claim, and the media validate, that their personal work to pander to powerful radical organizations for their own benefit is “broad” ecosystem management is simply ludicrous. And wolves that have been somewhere only for 61 years are what: “endangered”, “vital”, “native”, “keystone sp.”, what? Why aren’t they (bureaucrats and scientists and their financier-enablers) treating these moose and wolves that are such recent arrivals (radicals call them “Invaders”) to Isle Royal like they treat pheasants, Hungarian Partridge, Brown Trout, Great lakes Salmon, and all the other dreaded “non-natives” and “introduced” species they want to eradicate, that is to say with contempt? The vast majority of these desirable “non-natives” (radicals call them “Invasives”) have been in place and benefitting human society far longer than these moose and wolves on this Island. So, let me get this straight: wolves on Isle Royal “perform a function as predator” on moose on which they are expected to have a “real impact”. Simultaneously, in the rest of Minnesota (yes Isle Royal was once widely considered to be part of Minnesota until federal controls and hegemony became so powerful that everyone believes the federal estate to simply be separate and distinct from States and Local Communities despite their window-dressing “allowing” of “public discussion”) moose decline as wolves increase and we are instructed to not listen to those fools that say there is a connection between the two. This stuff belongs on Prairie Home Companion. 7. “The situation is so unusual that it’s affecting other species on the island”. Oh my word! Attention, “species” are being “affected” somewhere. You mean like elk and moose disappearing when wolves are forced into rural enclaves that do not want them? Aren’t “ecosystems” supposed to be like “climate” in that any (well not quite any) change is an emergency that only more government, more spending, more laws and more regulations can control before we all die? Actually, if bureaucrats and radicals want wolves or grizzlies somewhere they haven’t been for a century that is OK: if the same suspects want to eradicate wild species or domestic animals from somewhere that is OK: only if you or I want a landscape and rural environment safe and productive in which to live comfortably and safely raise our families and this is at odds with an all-powerful government acting as a shill for radical organizations –that is NOT OK! My God, “species” go up and down from moment to moment and saying that it is government’s job to intervene with no more cause than that things will be different is an abuse of government power for an unachievable purpose that could drain the world’s debt and GDP’s combined. 8. “It will be up to the National Park Service to decide”. Unless you are one of the few that think of the Park Service or Fish and Wildlife Service or Forest Service (curious that word “Service” as in who or what do they “SERVE?”) as in your pocket, such common words these days should send a chill up your spine and heartburn down your throat. 9. “With wolf numbers so low, moose numbers on the island have exploded, more than doubling in recent years to more than 1,000. That’s the opposite trend from moose in Minnesota, where numbers have plummeted in recent years to the lowest levels in decades. While moose in Minnesota face bears, humans and deer-related diseases as predators, moose on Isle Royale have only wolves as threats”. Finally, the piece de resistance! Like the President and his minions explaining what he “really” meant when he said we could keep our doctors and our insurance policies; these bureaucrats, scientists, and their media enablers are faced with a dilemma. How to explain how wolves decimate moose on Isle Royal and not on mainland Minnesota and why when the wolves are about to disappear moose populations are exploding on Isle Royal? If we knocked down dramatically the wolves on mainland Minnesota would moose recover? (The answer is YES.) Yet the Park Service will milk the federal Treasury for more money and people for this mysterious “situation” just like the Minnesota DNR bureaucrats and the University “scientists” have and are milking the State Treasury for more and more money and people to conduct “research on this mystery. Like the explanation of the President’s repeated use of the word “period”; these government con artists add “bears, humans and deer-related diseases” to the growing and irrelevant reasons for the mainland moose declines. Oh well, it sell papers and garners urban votes to keep in power State pols maintaining unemployment with handouts and building stadiums (Romans called it “Bread and Circuses) and Federal pols signing UN Treaties to sell our sovereignty while taking away our property and our Rights. You couldn’t make this up if you tried to. 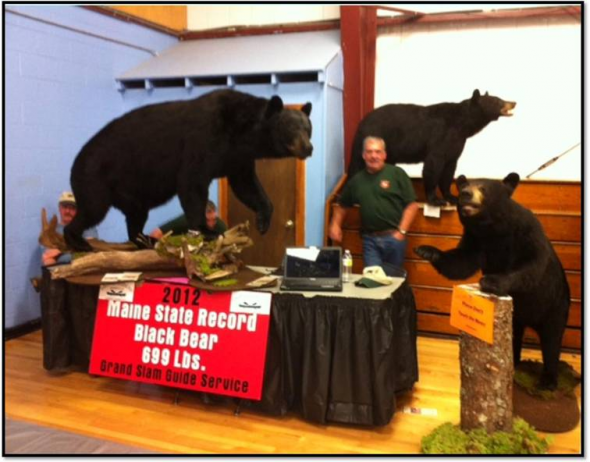 Perhaps a bit like making laws to stop criminals, who, by definition do not regard laws, states like Minnesota and Maine have traveling shows where they exhibit taxidermy wildlife confiscated from poachers in what they hope will deter others from poaching. I have no data to show whether it does or doesn’t work but should we expect that poachers will actually feel shame? It seems that in Minnesota thieves cut locks on gates and got into the trailers of the “Wall of Shame” and stole 17 shoulder-mounted deer heads. That’s the official story of the wolf that attacked a teen at a Minnesota camp ground last month. I want to know how the masters of all things wolves, know that this wolf had brain damage. Is this much like pretending to know that animals feel pain? Even Peter Singer, the guru of all things animal liberation, admits you can’t assess whether an animal feels pain unless there exists verbal communication between us humans and the animal – kind of like when you go to the doctor and they ask you on a scale of 1 to 10 where on the chart your pain is. Obviously there are certain assumptions (biases would be more accurate, but I’m trying to be nice) being made here; all of course to protect the wolf. Always protect the damned wolf. Why is it so obvious? Let me list out the comments made in this one article about the event and the conclusions they are attempting to force down the throats of non thinking people. Even IF, and nothing here is conclusive, the wolf acted like most retarded politicians in this country, the 16 comments and key phrases is about as ignorant and biased as they get. The sad part is, the majority of people who read this garbage believe it to be true. The Minnesota Department of Natural Resources released a presser yesterday announcing the death of what they want to claim as the world’s oldest black bear. The press release is a disgusting and perverted display of when people attempt to relate to other people, humanistic traits in wild animals. I will not glorify the perversion by posting any of it here but will provide a link for readers. So far, Outdoor Life has opted to glorify the event and included comments repeated from the press release about how the bear passed away quietly and peacefully. What is a bit odd is that the first reading I had from the Outdoor Life site describing in part the bear’s death, read, “….the bear died a quiet death from natural causes.” This morning visiting the site again, I noticed that same sentence appears to have been edited and now reads, “…indications are that it died from natural causes.” Perhaps the editors at Outdoor Life thought attaching human expressions of “quiet death” was a bit over the top especially when nobody was there holding the bear’s paws watching it pass and administering last rites. I think outdoor writers and media outlets can do all of us a favor and stop perpetuating these fantasies of brainwashed animal worshipers. When we insist on attaching human characteristics to bears and the like, how objected can a scientist be? This bear lived a long time and provided lots of scientific data for scientists(?). Time to move on and get more data so we humans know how best to manage bears for bears not for human interactions. Definition: nev·er·more (n v r-môr , -m r ). adv. Never again. A wolf just attacked a kid in Minnesota in a sleeping bag in a US Forest Service campground. The wolf grabbed the sleeping kid by the head and left him with cuts and a gash after it was driven off by the kids’ kicks and the response of others in the campground. One month ago I was fishing with a friend only a few hundred yards off that campground by the mouth of the Mississippi River as it flows into Lake Winnibigoshish. Being an incurable duck hunter I had noted the large wild rice beds nearby and the boat ramp in the campground. After chatting with our fishing guide, Mr. Roy Girtz (Royal Guide Service in Grand Rapids- this is a non-paid and well-deserved plug for Mt. Girtz), about duck hunting in the massive wild rice bed called Sugar Bay; I had tentatively planned to camp in that campground and hunt ducks in the nearby wild rice in October. When I read the initial report of this wolf attack in a local news item last night, the title referred not to a wolf attack but to a wolf “bite”. Additionally, the initial article mentioned a wound that “required multiple staples to close, but was not life-threatening.” The words “rare” and “extremely rare” are peppered throughout the initial report. Both the initial local report and the front page article in this morning’s St. Paul Pioneer Press (which uses the description of wolf “attack”) were mainly explanations by the Chief DNR Law Enforcement guy about how this incident was a “freak deal” and “incredibly abnormal behavior”. He goes on that according to the DNR, “it’s the first one I’m aware of where there was actual physical damage to the victim.” First one? What other ones and how many have been “handled” quietly? HHMMM? – The DNR offers the following tips for an encounter with an “aggressive wolf”, – Don’t run. Do not turn your back. Retreat slowly. Stand your ground. Use air horns or other noisemakers. Use bear spray or firearms IF NECESSARY. Climb a tree. Three days ago I wrote a piece (Wolf Tales, Turning Reality into Myth) about two reported wolf feeding/habituation hotspots about 70-80 miles East of this wolf attack on Lake Winnie. It is worth noting that the newspaper pictures of the “cute” young wolves begging for food was composed around a Lady DNR Manager explaining about how these “cute (her word) young wolves needed these summer areas to wait for the return of mysteriously absent “parents”. This Ladies’ emotional explanation displaying DNR environmental/animal rights concern for these newly discovered wolf pup-care frolic and begging areas for wolves was a hit, I am sure, with urban progressives and a warning to local folks to adjust to living with wolves or move elsewhere. Girls can get away with that sort of thing like when you are upset with a company and you call for help in a fit of frustration and a young lady tells you how she will help even though she is no help. You calm down with the lady and are restrained where if it is a man, especially one that can make you feel he can ignore you with impunity, you are neither calmed down nor receptive to his inability to help. Suffice it to say that when a kid is bitten and locals are ready to take up torches and pitch forks, as with this kid getting nailed in a campground, the spokesMAN is not only a male, he is the Regional Manager for DNR Enforcement. I have always been amazed at how Outdoor Writers whose wildlife knowledge is like the Platte River (“a mile wide and an inch deep”) can make politically correct factoids out of wildlife biology and human interfaces and still maintain any credibility. 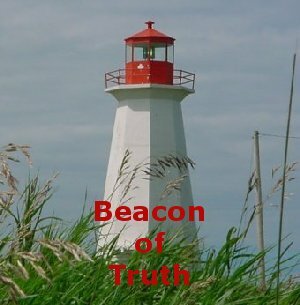 Like UN Ambassadors and Secretaries of State to whom the truth matters not; only pleasing their powerful employers and those they hope will benefit them in the future is taken into account. From Benghazi to wolf realities, call it human nature, lying or ignorance; the key is to keep what they tell you in perspective if it goes beyond the best bait for perch or where our UN Ambassador was recently during a UN Emergency Session on Syrian chemical weapons. Note how a firearm (the ONLY SURE defense) is at the bottom of the list with a caveat and bear spray (that didn’t work for the Idaho guy bicycling on the Alaskan Highway recently) is recommended. Thank you, Charlie Brown. 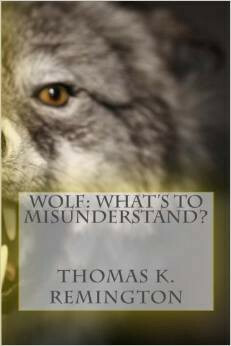 I have written until I am blue in the face about the history of wolves. From the time of Plutarch centuries before Christ, bounties and wolf killing have been the norm. The time and effort expended to rid settled areas of wolves in Europe are monumental and hard to comprehend in societies that struggled to feed their members and untreatable plagues killed millions. Specially bred dogs, poisons, traps, bounties, deadfalls, drives, denning pups, shooting, pits, spiked dog collars, snares, horseback chases, handguns, possees, etc. ; nothing was too hard or too innovative or too expensive for those that were “living with wolves” to kill and minimize or eliminate wolves for the past two and a half thousand years that we know of. Now you can express the extreme hubris of our age and dismiss all those societies, farmers, townsmen, herders, woodcutters, parents, nobles, and travelers as a pack of ignorant superstitious folks but do you realize how stupid that is? 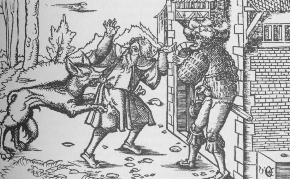 To say that kids fables were not meant to warn them of very real wolf dangers or that woodcuts or old literature about wolves are simply propaganda by witches is funny to say the least. I have a book (Wolves of North America. 194) by Stanley Young the Head of US Predator and Rodent Control in Washington, DC) beside me as I write this that documents many wolf deaths in Colonial America; in America during the westward expansion in Forts and smallpox infested Indian Villages, on lonely plains; and in the developing American communities of the late 1800’s and the early 1900’s. No one; not children, trappers, hunters, scouts, soldiers, cowboys, farmers, Indians, pioneers, travelers, no one; was immune. The fact that the current “experts”, bureaucrats and writers can dismiss history as fiction simply because it is “undocumented” is astonishing. We are using this eraser for millennia when there were no newspapers, no need to verify what happened in your village, no records, no “Scientists” (even Audubon reported a wolf death and attack in Kentucky), and immigrants and native people neither knew nor could determine, much less “document”, the fate of the many that disappeared for reasons as diverse as murder, kidnapping and fatal injury to predators like wolves, bears and cougars in expanses where remains were simply fast food for abundant animals and insects. None of that matters. Urban radicals love wolves and will vote for politicians that will destroy livestock operations, hunting, rural economies, rural tranquility, and gun possession: wolves help accomplish all these things. Federal bureaucracies have built unbelievably powerful and expensive kingdoms based on the laws passed by pandering politicians to get the votes of the urban progressives and radicals. The fact that such laws have proven to be the most efficient means of destroying our Constitutional government with the possible exception of armed conquest by a foreign tyrant goes unmentioned and is vehemently denied. 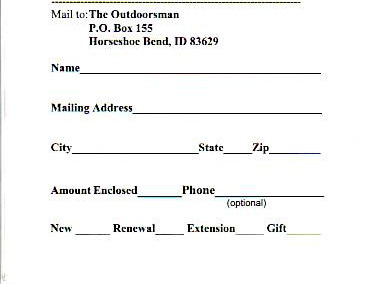 State governments have thus far sold out to their Constitutional Authorities and Responsibilities to the federal juggernaut and the DNR’s/F&G’s/FWP’s/etc. have become “people-of-the-evening” as they individually curry federal favor and even future federal emoluments, much like the Outdoor Writers, at the expense of those they ostensibly serve. Hence the feces noted above that has become standard fair for decades now about how wolves are “shy” and “kill only the old and sick” and “encourage berries for bears by killing elk” and “have NO EFFECT ON MOOSE “(are you listening Minnesota? ), etc. ; while remaining silent about diseases and infections spread by wolves, wolf impacts on dogs, wolf impacts on livestock operations, wolf/human incidents as much as they can, denying big game losses caused by wolves, the real danger to kids and the elderly where wolves exist, and the overall diminishment of rural American economies, life and Tranquility (a Constitutional word) as a result of re-introduced wolves. But alas, none of that matters. So think about this. ALL wildlife studies and wildlife biology (i.e. “science” are reports of what they say HAS HAPPENED and what IS HAPPENING. It is like driving a car by only looking in the rearview mirror. Let’s assume, hard as it is, that wolves never killed anyone (the girl in Alaska and the guy in Saskatchewan, for the sake of argument, probably “turned their back” or “ran” or failed to “climb a tree”) and all the wolf destruction reports from early America, present day Russia/Siberia/Georgia/Khazakstan/India and all the stuff from Europe down through the Ages about wolves killing humans is all simply fiction. So, “the government and “scientists” tell us that wolves “were here first”, “wolves belong here as Native Species” and wolves “complete” and “improve” the environment. Suppose further that “studies” and “experts” validate all this and that any danger to humans, like the talk about wolves carrying diseases and wolves killing livestock and reducing game animals and thus hunting is all silly superstition being spread by (?) old guys like me or people that were home-schooled or raised by rural Conservatives (as opposed the urban Christie/McCain Conservatives). Now suppose that me and others like me (yes there are some) bred thousands of large (75-125 lb. dogs), took their puppies away from the adults right away, housed them separately and fed them road-kill and wild critters both young and old until the pups were about 6 months old. Then we took them separately and released them in woods and on plains and in towns and suburbs and on farms and ranches and on public and private property. I submit that many would begin making it on their own. They would form packs. They would kill deer and elk and moose and try for bear cubs just as they would soon learn annual habits of finding moose calves and pregnant elk cows and beaver houses and school bus stops and ranch yards and town garbage at night. Since they and their offspring get no “shots” or veterinary attention when they carry hundreds of ticks or contract Rabies, Distemper, Parvo, Mad Cow, Anthrax, Brucellosis, or Tapeworms, Roundworms, Encephalitis, Chronic Wasting Disease, Bubonic Plague (from their fleas), Mange, Neospora caninum (an abortifacient), Foot-and-Mouth, etc. the public would quickly be in fear for their children and themselves and their dogs and their livestock and the animals they hunt in the fall. I further submit that as these “wild” dogs increased and killed most of the game – making the last few harder to get as they tried to live “in town” or near buildings and as farmers/ranchers reduced their herd sizes and put armed guards and dogs everywhere and finally put the smaller herds and flocks under lock and key in buildings – wild dog food might be hard to get. What do you think happens then? Will the dogs disappear like some historians say Indian dogs did periodically during famines or bad weather? Will you believe ASPCA/government/”scientific” reports that dogs will simply infect themselves if sick and will simply die if food is hard to get or have always gone elsewhere far away (?) to find food? OR, would you understand that they will explore and move into suburbs and cities like coyotes are doing? Would you understand that they are killing your dog in your back yard and that it is dangerous to “walk” your dog since the wild dogs attack and eat your dogs? Or that attacks on kids and the elderly are increasing as the hungry dogs see them as food? Or that these dogs you cannot shoot or trap or poison in suburbs and cities are “bold” and “habituated” and increasingly threatening you and your family and the outdoor public life and events that you can no longer pursue and/or enjoy? How long would you tolerate your public officials and bureaucrats telling you that those dogs are good for some other animal and that “the ecosystem” must be made “whole” and “natural”, no matter what it costs you or your nation? Would you tolerate government that protected me and my friends that put the dogs everywhere? Would you tolerate courts telling you, after your son is injured or your daughter killed by those dogs, that my friends and I aren’t responsible? That your child failed to behave properly and you are suspected of anti-government urges (like that Missouri Rodeo Clown?) since you are not enthusiastic about learning all we tell you about how and why you “must learn to live with these dogs”? – Abundant and managed big game herds unused to ravaging wolf packs and large herds and flocks of livestock untended on summer pastures unlike any other country in history. – Disease-free dogs in homes and open rural yards, trained to protect, hunt (often at great distance from the hunter), trail, and give companionship. – Children walking to and from and waiting at isolated rural school bus stops. – Old rural folks with routine walks to often far off mailboxes and isolated homes in the midst of barns, sheds and outbuildings of interest to and cover for wolves. – Rural settlements with everyone inside at night and wolves freely roaming in search of anything to eat or kill. – Big game is disappearing and livestock operators are either going out of business of reducing herds or still trying the “Fladry”, electric fence’ guard dogs, “compensation” nonsense meant only to delay their complaints until wolf control is no longer feasible or affordable. – Hunting is dwindling because of lack of game. – Rural life adjustments from no longer camping or leaving the dog unattended to not allowing kids to go hiking or bike riding after school and constructing school bus stop cages for kids that no longer walk to or from the bus stop, etc. – “Attacks” are beginning to become more difficult to cover-up and big game license money (along with the billions that all the ancillary business’ that hunting brought to rural America) is disappearing along with it. 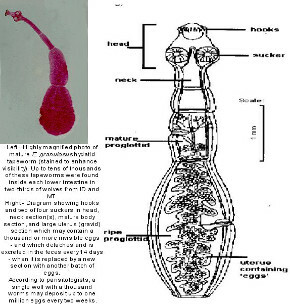 – Diseases, tapeworms and infections are increasing desp9ite veterinarians too busy to answer questions. – The real results of hiring all the anti-natural resource management and use radicals in the federal and state wildlife agencies is becoming evident from lies about safety and distortions about animal counts and disease threats to humans, dogs, livestock and wildlife. – A Minnesota boy (where this NEVER happens,) is grabbed by a wolf on his head and narrowly escapes death as he sleeps in a government campground. 1. File this away under Global Warming/Wolf Deniers or Nutjobs or wherever you would file what you think is fantasy. I predict you one day soon and not far off will have seen more wolf carnage and destruction reports (increasing incidents and increasing severity not amenable to cover-up are inevitable) and there will be a hue and cry to get rid of them or reduce them dramatically or else. When that happens and you are having a flicker of doubt or remorse about how you supported wolf imposition on others or you are wondering which side you are on now: pull this out and reread it. I hope it might help you make up your mind. 2. Go to www.cryingwolfmovie.com, and watch a free showing of a superb movie video “CRYING WOLF”. You will learn about some young Montanans working to restore rural America and Constitutional government and also about their new video, “AXED The end of Green”. If it is half as good as Crying Wolf, I can guarantee you won’t be disappointed.